Frock coats were highly fashionable in the Victorian era and it was during that time that Prince Edward VII became the first gentleman to wear a shorter jacket, starting a new trend. 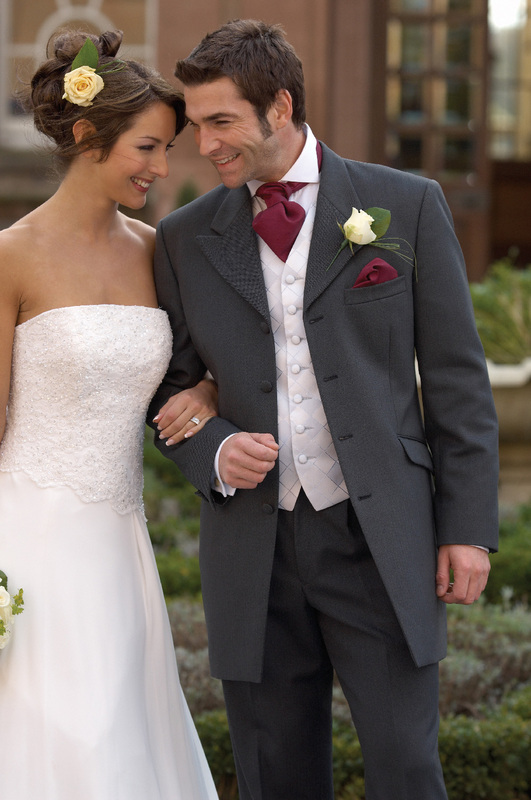 Today, the Prince Edward jacket, also referred to as the three-quarter length Frock coat, is ideal for the more modern groom. Its edge-to-edge style gives it a distinct look and is perfect for those flamboyant dressers looking for something traditional but a little different. This three-quarter length herringbone jacket can be beautifully paired with the traditional striped trousers or matching herringbone trousers. Select the finest waistcoat, cravat, scrunch tie and hanky from our range of accessories and you’re ready to walk down the aisle.